"This book should be a required reference on the laboratory′s safety shelf as no where else is so much useful information available in a single volume." "...a portable reference on reactive substances to guide all personnel...in charge of the handling, storage, and transportation of chemical materials." Enlarged, revised, and even more useful. The term "incompatibilities" describes a wide range of chemical reactions that produce undesirable results in noncontrolled situations: the generation of toxic gases, fire, explosions, corrosive activity, polymerization, ruptured containers, creation of more dangerous compounds, and the like. 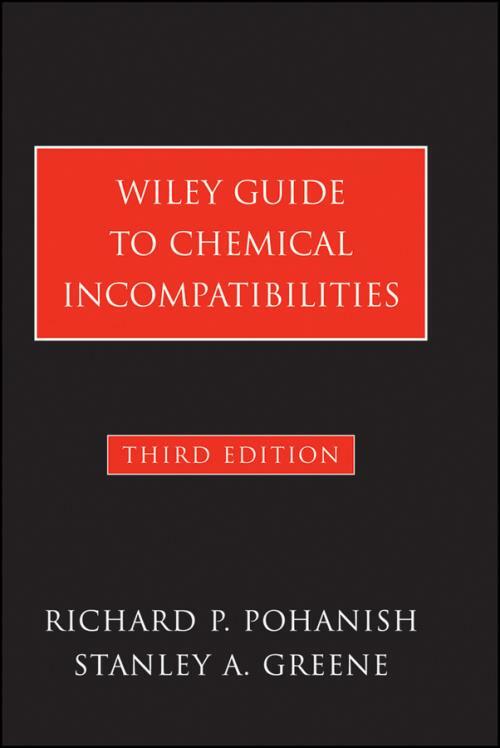 A portable and easy–to–use reference on reactive substances commonly found in commerce, the Wiley Guide to Chemical Incompatibilities, Third Edition compiles hard–to–find data on over 11,000 chemical compounds, providing chemists, technicians, and engineers a thorough, lightning–quick resource to use during experimental preparation and in the event of an emergency. More than a revision of the previous edition, this Third Edition has been rewritten and expanded to broaden coverage and improve its usefulness. It contains nearly 9,000 chemical incompatibility profiles and nearly 250 new entries, covering flammability, violent and explosive binary reactions, incompatibilities, and reactions that may result from physical change. Alphabetical organization provides concise incompatibility profiles for thousands of commonly used commercial chemicals, allowing readers to look up a given substance and instantly learn whether it is incompatible with common materials, other chemical substances, structural materials, or personal protective equipment. With thousands of new entries and easy–to–use organization, the Third Edition of the Wiley Guide to Chemical Incompatibilities remains a handy resource for all safety, first–response, and plant management professionals responsible for the handling, storage, and conveyance of chemical materials.